21 cm tall (8.5 inches). 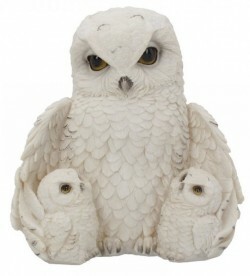 Snow owl family figurine. All one piece. Made from a quality resin for a stone look and feel.